When I first saw this cover, I knew I had to read it. Besides it being another book in the Proper Romance series, it’s about a librarian, for crying out loud. Of course I needed it! Greta has a great life. She has a job she loves and a best friend, Will, whom she adores more than anything. What could be better? Well, meeting a handsome stranger, that’s what. When Will introduces her to Mac, she thinks that he’s the perfect man for her. When her library is threatened with closing, she takes it upon herself to do whatever it takes to keep it open, even if they don’t all work out the way they should. In the midst of all that, she find herself going to Will before Mac. I mean, he’s her best friend, of course she would go her to her best friend before her boyfriend, right? He really was the best. He said all the right things and was there for her the moment she needed him. There was no secrets from each other, at least on her end. But she soon finds herself wondering if her “perfect” man was right in front of her the whole time. I loved this super cute, clean romance. It made my heart twisty and swoony and brought a smile to my face. Greta was a great girl. She had a good head on her shoulders. Her life was books and I can appreciate that. But the best part about her is her inner monologues. I was giggling so much listening to her. It’s possible I stood the blinked for a minute or three. Then I remembered I was a grown-up. With a job. She reminded me of me, if I’m being honest. A total goofball, but with a kindest heart ever. She may feel awkward on the inside, but she would never show it on the outside and make others feel it. 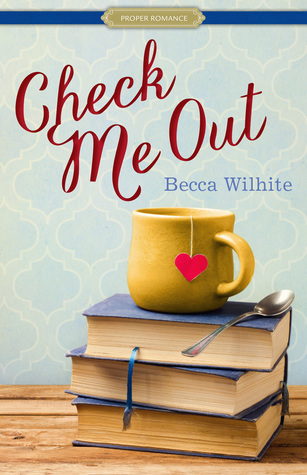 If you’re looking for a nice sweet romance filled with romantic poetry, and a cute, quirky librarian, then you should pick this up!